Chickens & Friends. . . .
You can never have a bad time when you include a chicken in your games. 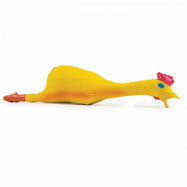 This latex constructed chicken is perfect for cooperative games! 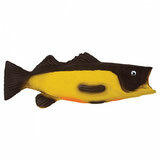 9.5" in Length, and squeaks when it is squeezed! This is an excellent basketball! 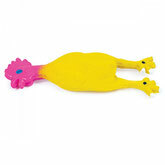 Compact and flexible, this chicken is perfect for tossing, hiding or riding in your pocket. Why should chickens have all the fun?! 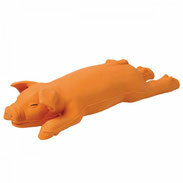 This cute pig does the same as the chicken with a twist. Anyone for Pitch the Pig? Again, bring a new element to a classic game. Anyone for a game of Tickle the Trout? ?